The construction of the new East Servery at Rice University is the most recent part of the implementation of our South Campus Master Plan which includes works at four residential colleges on the University's historic campus. 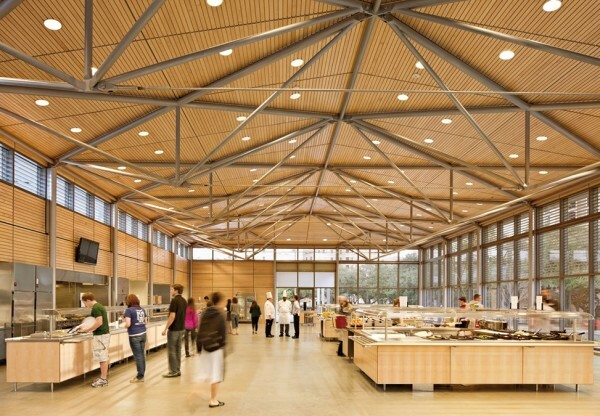 The new shared Servery replaces two outdated and inefficient kitchen and servery facilities at the convergence of three existing Colleges: Will Rice and Lovett Colleges at present and Sid Richardson College in the future. 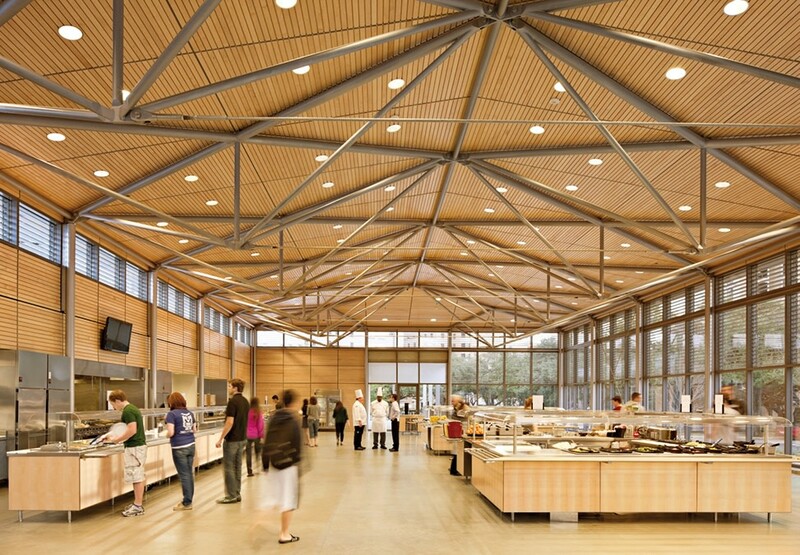 This servery is designed as a large transparent volume that emphasises connection and dialogue with the surrounding colleges and the Oak Grove. 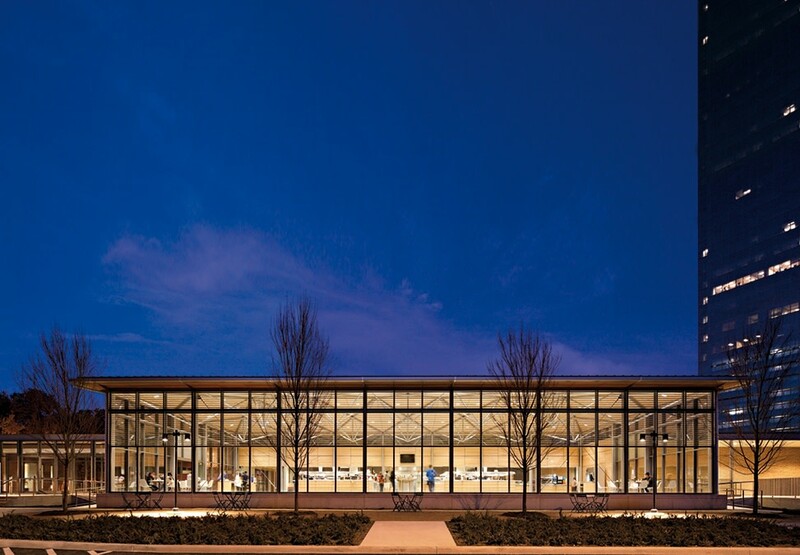 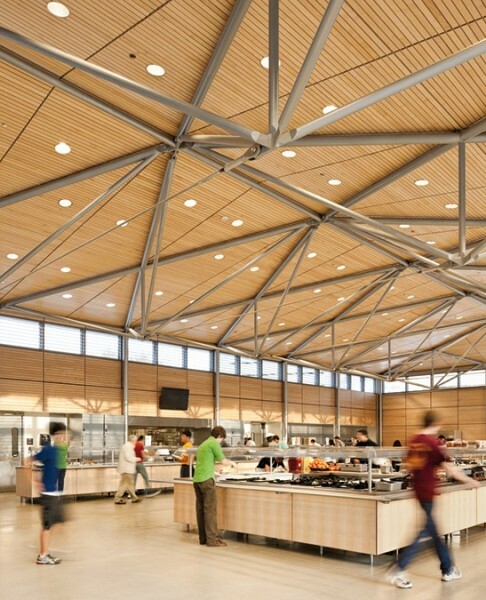 It incorporates three-dimensional steel trusses supported on slender circular columns surrounded by a solid maple interior. 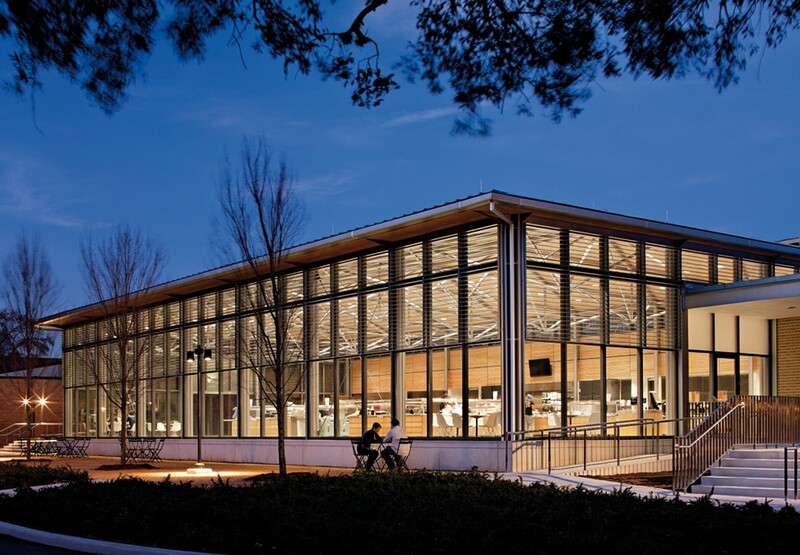 Its glazed facades are screened by horizontal aluminium louvres and it is topped by a shallow pitched and weathered zinc roof which helps relate its modern form back to the surrounding historic campus.